There are two main types of art collectors: those who collect with their ears and those who collect with their eyes. Those who collect with their ears chase after artists whose names they know and are frequently oblivious to quality, usually ending up with a range of mediocre works by a number of famous artists. We have all visited collections of poor paintings by Nolan, Whiteley and Boyd. 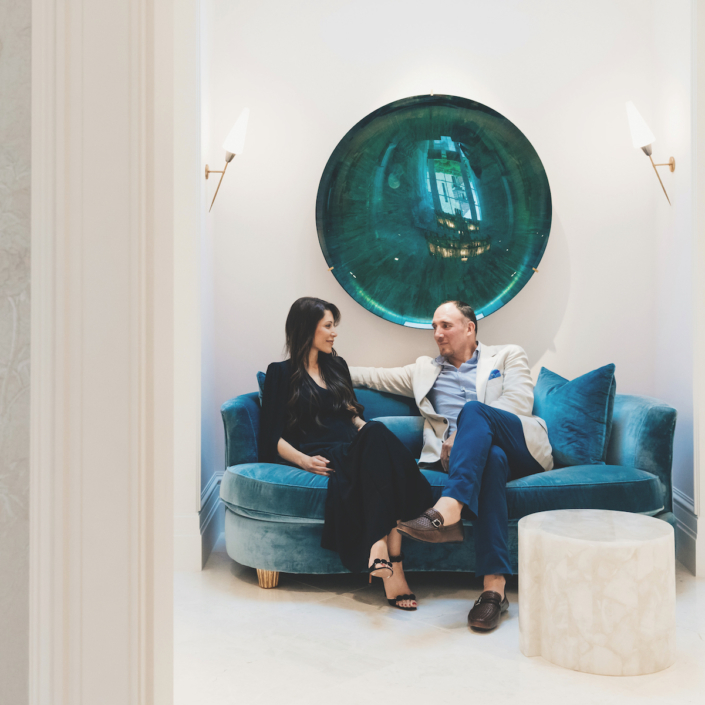 Arthur Roe is an art collector who collects with his eyes and is frequently drawn to work by artists whom he has never heard of. But, once convinced of their merits, he pursues them with a passionate zeal. 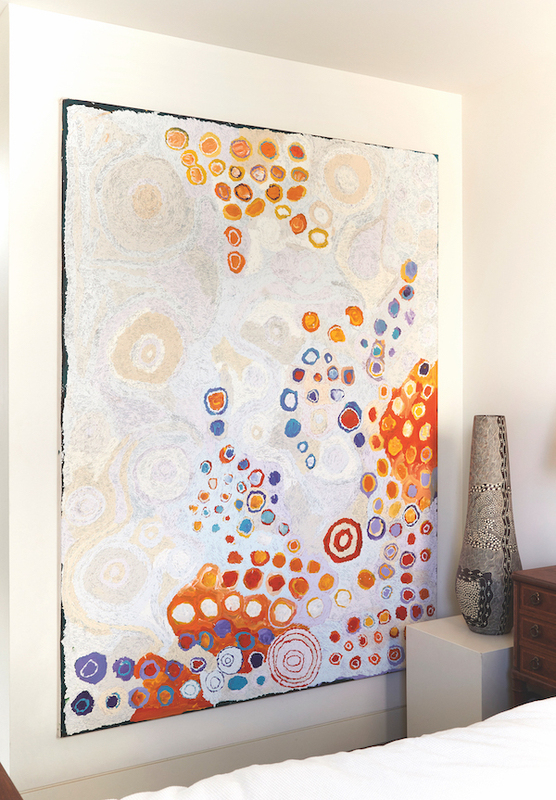 Over about two decades, he has assembled a vast collection of about 850 items of contemporary Australian art, much of it of exceptional quality, with about two-thirds of it by Indigenous artists. Born in Dublin in 1955, Roe came out with his family as a small child and settled in Melbourne. 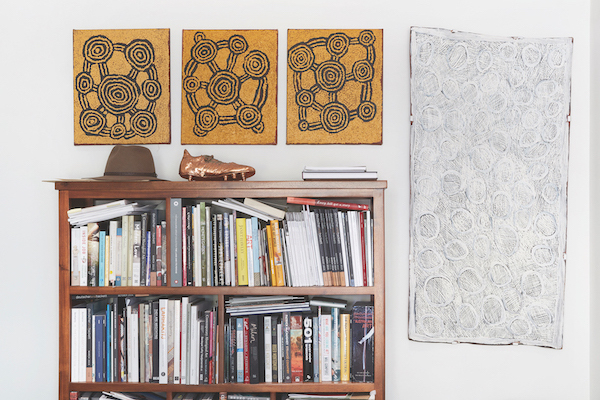 Collecting was in his genes and as a child he collected football cards, but it was only in the mid-1990s, after visiting Port Jackson Press in Collingwood, that he became interested in collecting art. By about 2000, through an encounter with a painting by Charles Reddington in an exhibition, his eyes were opened to abstraction. 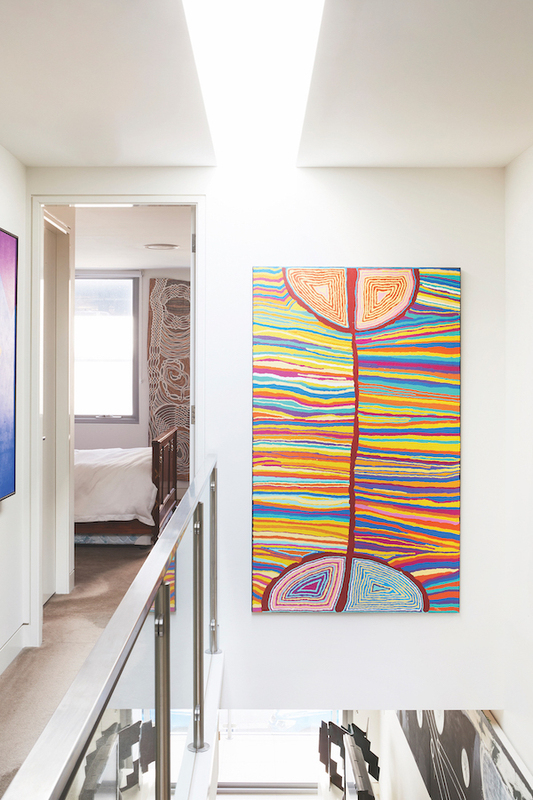 At about the same time he discovered Indigenous art, and his collection started to take shape. Roe’s process of discovering artists is a mixture of luck, informed looking and serendipity. 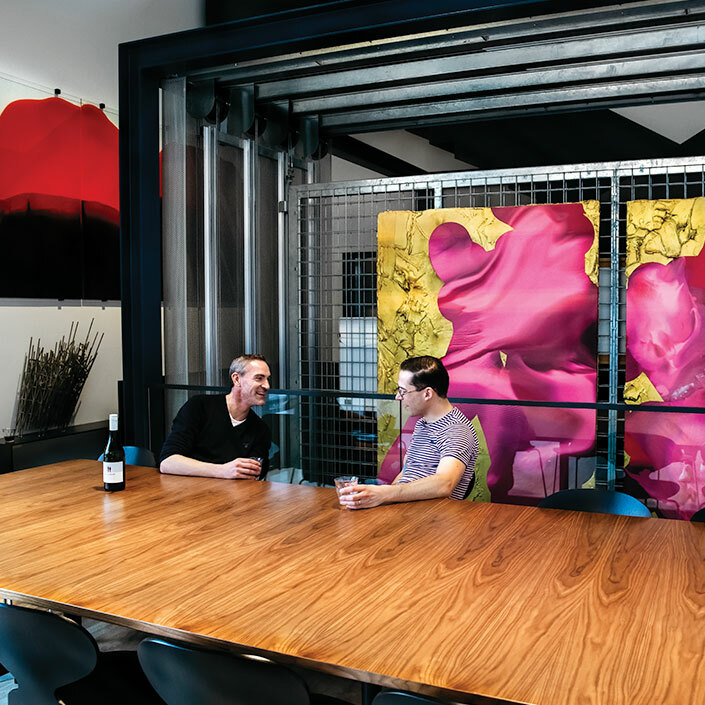 In 1997, in the first issue of Art Collector, he came across an advertisement from the King Street Gallery with an image of one of the paintings by Elisabeth Cummings, which struck him as containing “the essence of everything I love in art”. He promptly phoned to see if he could buy the work, which by then had found another home, but he became hooked on Cummings’ work and she is one of the artists whom he has collected in depth. Having discovered the Wedderburn group of artists, Roe was drawn to John Peart, whom he has also collected in depth. Jenny Sages, Aida Tomescu, Ildiko Kovacs, Tony Tuckson, Bruno Leti, Marie Hagerty, Robert Klippel, Geoffrey Ricardo, Lisa Roet and Anthony Pryor are a few of the many other artists who feature in his collection. 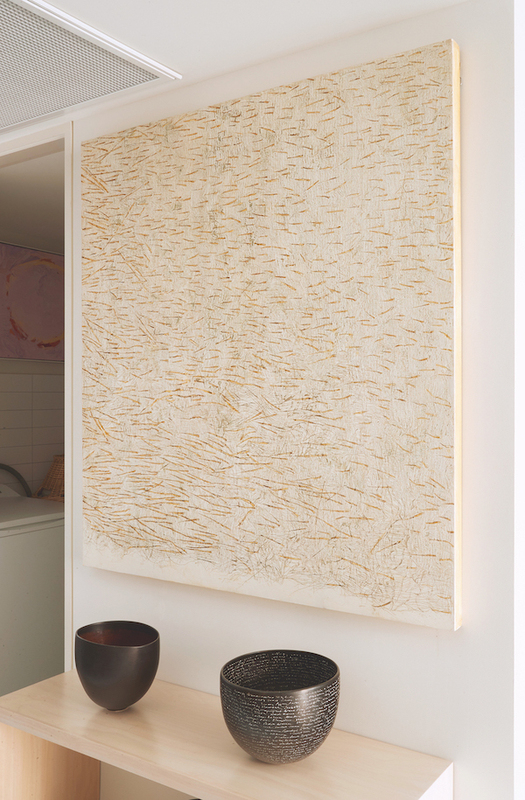 While it would be naïve to describe them as abstract artists, they are all artists who work with abstracted realities rather than with a literal transcription; although his dining room at the moment is dominated by a huge Philip Wolfhagen triptych of a moody landscape. 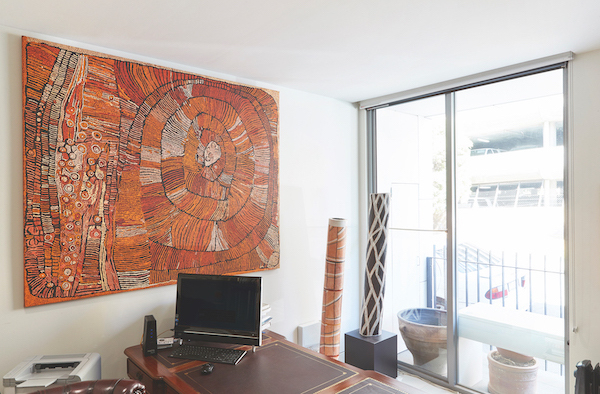 The core of the art collection comprises Indigenous work with a dazzling display of Papunya Tula artists, including one of the exceptionally rare 1971 board paintings. 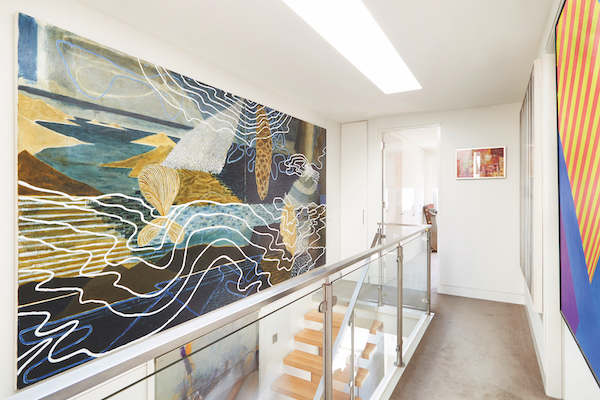 Yirrkala barks and art from the Tiwi Islands and the Torres Strait Islands are prominent in the collection. 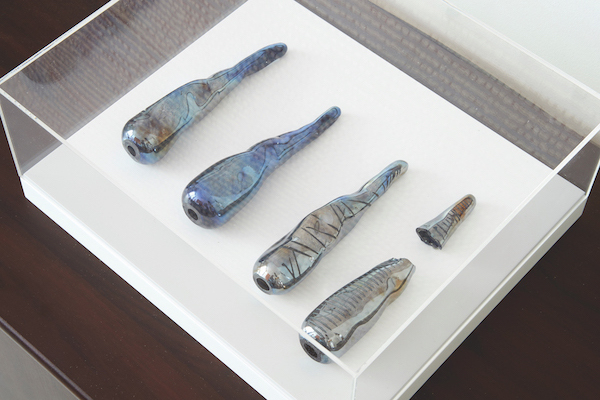 In many instances, Roe is prepared to trade up to acquire an outstanding piece, occasionally parting with some of the lesser pieces, but thus consolidating his collection. Many of his major pieces are of huge dimensions and are presently stored in a separate warehouse. Roe’s day job is managing director of a firm of chartered accountants, Arthur Roe & Associates Pty Ltd, which affords a reasonable, but not spectacular, income stream. Many of the works in his collection have been acquired from the major art galleries in instalments. 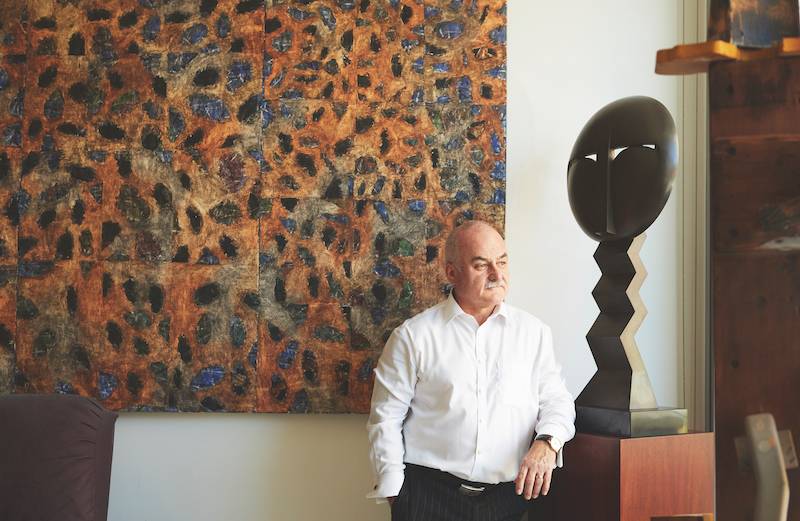 He was one of the few major collectors who continued buying art on the primary art market during the GFC, even though at the time he could only afford smaller instalments. Each work in his collection has a story behind it and he defends it with a passion: “this is the finest Trevor Nicholls you will ever see”, a refrain that Roe extends to scores of artists in the collection. What is unusual, in many instances, is that I think that he is correct. And so do many other art curators, with works from his collection featured in many touring institutional exhibitions. 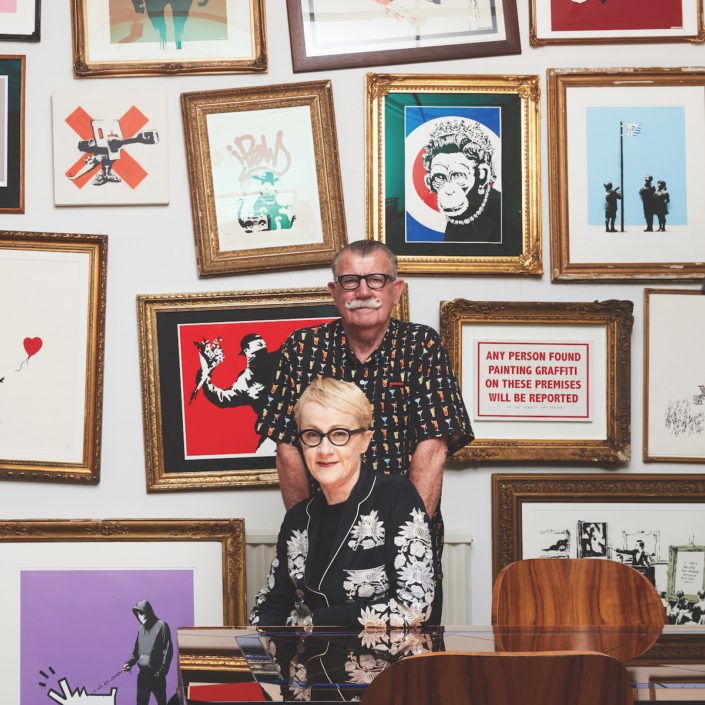 Arthur and his partner Suzie have a vision for the collection: to set up a house museum in Portsea on Melbourne’s Mornington Peninsula with several curated exhibitions annually accompanied by published catalogues highlighting unexpected synergies and connections between items in the collection. When I questioned him concerning the timeline, he replied confidently, “it will occur within five years”. This article was originally published in Art Collector issue 84, APR-JUN 2018.